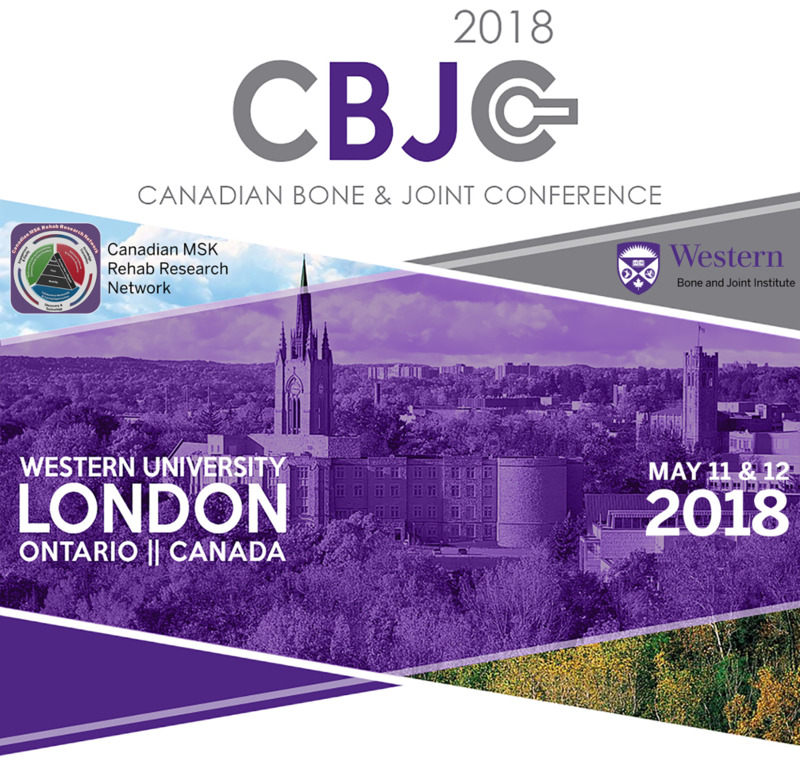 The Bone & Joint Institute at Western University, in partnership with the Canadian MSK Rehab Research Network and preceded by the Canadian Bone and Joint Young Investigator Forum welcomed over 300 attendees from around the world to the 3rd Biennial Canadian Bone and Joint Conference May 10-12, 2018 in London, Ontario. With over 300 attendees from across Canada, the US, Ireland, UK, Australia, Nepal and Japan, this three-day scientific gathering was a huge success. Attendee numbers were beyond capacity for The Canadian Bone and Joint Young Investigator Forum which included workshops and presentations specifically geared to young investigator and trainee development. The Conference, with more than twice the attendance than previous years, offered plenary and invited podium speakers, oral & poster presentations, as well as concurrent workshops and panel presentations including wearable technologies, 3D running and gait, and regenerative medicine and advice from Journal editors around the world. With over 160 submitted abstracts the conference poster sessions were buzzing with excitement over the 3 days. Attendees tweeted with #cbjc2018 and saw the conference trending by the Friday night Gala banquet. Evaluation feedback from conference attendees indicates the vast majority were very satisfied with the event overall and plan to attend the next conference in the spring of 2020.